Precious metals have made a surprising comeback from its previous lowest levels last November of 2008. Platinum, Gold, Silver have been bullish recently after several bad financial news rocked Japan and Europe during the past few days. Today Silver peaked at $13.92 while Gold climbed more than $20 surpassing its record last week since it bottomed out. Platinum meanwhile is gaining momentum leaving behind one of its previous worse performance when it went down at the price level of Gold. News about investors rushing to buy precious metals have been reported in Tokyo as the financial crisis in Japan deepens. Tokyo bullion dealers are reporting an unprecedented drought of platinum ingots and coins, blaming the economic downturn and dwindling faith in the Government for a rush by middle-class Japanese families to buy precious metal. With dealers turning away would-be platinum customers for lack of stock, retail investment interest is turning towards the even rarer Canadian Maple Leaf palladium coin. Some dealers are predicting volatile palladium prices as Japanese investors compete with the car industry, palladium's main industrial buyer. A government think tank is predicting that Japan's economy shrank by an annualised 10.59 per cent in the final quarter of 2008 - rather than the 5.14 per cent contraction they were predicting four weeks ago. As if this was not enough for concern, there is a growing sense that the Japanese Government is not responding adequately to the economic crisis. Jonathan Allum, chief Japan strategist at KBC Securities, is among a number of analysts with deep scepticism over the plans laid out by Kaoru Yosano, the Economics Minister. “Some of Mr Yosano's previously expressed views do not wholly inspire confidence. This is a man who said on January 28 that a rise in the consumption tax could ‘lay the foundations for increased consumption',” he said in a note to investors yesterday. Although precious metals dealers are thriving, Tiffany's said yesterday that it would cut prices in its Japanese stores by 9 per cent - a reflection of the stronger yen and dire times for the mainstream jewellery industry. Platinum sales at Tanaka Kikinzoku, the largest Japanese bullion dealer, have soared by 430 per cent over the past 12 months. Meanwhile, the local economy is still clueless at the current situation in the global market as seen by the lax defenses and preparation of the current government against the onslaught of the global financial crisis. 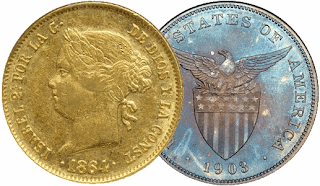 Despite several worrisome reports regarding the situation of the Pre-need industry and bank mergers, local coin dealers have not prepared with their current inventories as supply of bullion coins dries up due to the jump in demand. More and more investors now seek to convert their paper investments into tangible investments as prediction on the rise of precious metals is now materializing. "This is really amazing, I never thought that this rise would happen. I should have bought them (bullion coins) when they were cheaper. Now its too late, bad news already plague the market." one investor commented.